The air mix damper servo sends pulse signals to indicate the damper position to the air conditioning amplifier. 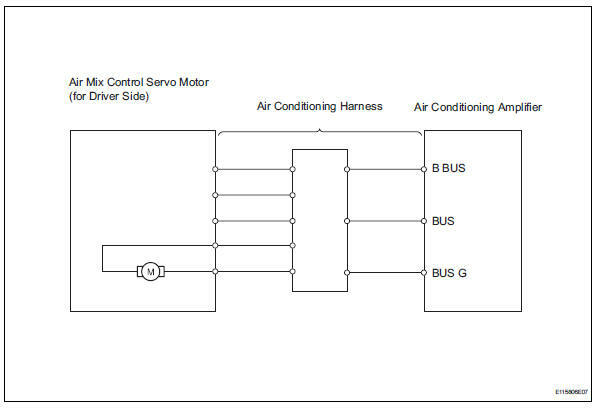 The air conditioning amplifier activates the motor (normal or reverse) based on these signals to move the air mix damper (driver seat) to the appropriate position. This adjusts the amount of air passing through the heater core after passing the evaporator and controls the temperature of the blown air.